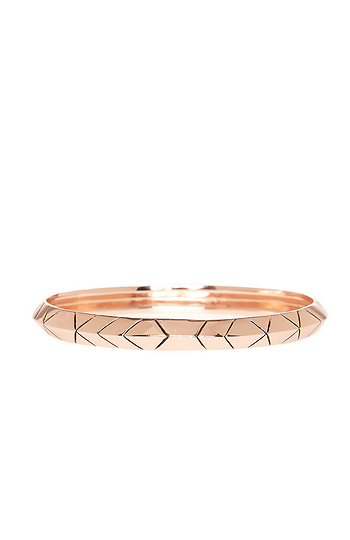 Slim bangle bracelet featuring a pointed band and angular etched markings. Can be worn alone or stacked in multiples. By House of Harlow 1960.